Han Suyin passed away three years ago in Lausanne. She is one of the few authors that I do not want to read because her hagiography of the most questionable episodes in the recent history of China is quite unbearable. But a friend advised me to read “And the rain my drink” written in Malaysia and considered one of the best books on the anti-British guerrilla which casted a tragic shadow over this country from 1948 to 1960. This is indeed a remarkable book and a novel that is read with pleasure. In 1942, the Japanese took control of Malaysia in two months, and in February 1942, occupied Singapore, deemed an impregnable bastion. This was a disastrous damage to the image of the colonizers. The Malaysian Chinese struggled, with the help of British special forces, against the Japanese, who had some support of Malay political forces and of sultans. The role of the Communist Party is essential in the fight against Japan and at the end of the war, many weapons are kept. The English want a move towards independence with citizenship for the Chinese and propose in 1944 a Union of the States of the peninsula (excluding Singapore). The opposition of the sultans led to the return in 1948 to a Federation of Malaya with the power of the sultans and the British protectorate. The economic situation is bad and social unrest is growing with a general strike organized by trade unions and the Communist Party in January 1946. Three European planters were murdered in June 1948, this is the beginning of a guerrilla war that will last more than ten years, a war that dares not speak its name. The state of emergency is declared, the Malayan Communist Party (MCP) is banned and its members took refuge in the jungle. They are supported by a large part of the Chinese population (3.1 million) who has no right to vote or ownership of the land but is above all very poor. protected by the police and army. This policy will be coupled with the will in 1952 of Gerald Templer, the new commander in chief, to win the “hearts and minds” by providing medical and food aid in the villages as well as rewards for information. Her book “And the rain my drink” was written in 1952 and 1953 in Johore. Nothing predisposed Han Suyin to reside ten years in this country. She was born in 1917 in Sinyang, Henan, from a Chinese father who, in Brussels, meets her mother, a Flemish, during his engineering studies. Han Suyin studied in Beijing, Brussels and finally in London where she married a nationalist military attache who was killed in 1947 in Manchuria. 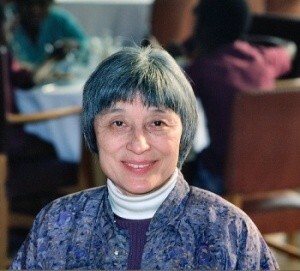 Having completed her medical studies in 1948, she moved to Hong Kong as a doctor with her daughter. Her novel “A many-splendored thing” recalls her affair in Hong Kong with a well known and married Australian journalist, Ian Morrison, who was killed in Korea. This novel made her famous as well as the film that was shot with William Holden and Jennifer Jones in 1955. In 1952, she married Leon Comber, an interesting character, who after five years in the British Army in India, held several positions in Malaysia before being in charge of the secret police (Special Branch) in Johore. They divorced after six years of marriage. Han Suyin speaks Mandarin and several dialects and works in the Johore hospital. She is particularly well placed, also benefiting from the information provided by her husband, to have a complete view of this period of “Emergency”. The main merit of this novel is not to be labeled “colonial” like so many works written by Europeans such as Somerset Maugham and Antony Burgess who supported the arguments of the British in favor of the Malays, a “nonchalant” people that must be protected ! The book was considered biased by the press of the time but also by Leon Comber who finds that judgments are more severe against the British than communist guerrillas. This is questionable because many episodes, which were later described as “war crimes”, are not mentioned whether the Batang Kali massacre or the use of “Agent Orange”, a defoliant that Americans employed on a very large scale in Vietnam. Moreover she clearly underlines the communist atrocities, factional struggles and liquidation of political opponents in the MCP. Obviously her denunciations of corruption of the English officials and police were a shock at the time to the point that her publisher multiplied the legal precautions to avoid lawsuits. The book is nuanced in its approach. No schematic portraits; British officials are sometimes obtuse but others are aware of the political and military risks of the situation. It is the same for the Chinese, whether naive peasants, fearful or greedy, consequently corrupt, whether important businessmen whose children have very different approaches and some of whom went underground or left for China. The novel provides an accurate picture of the Briggs Plan and the New Villages. Very brutal means are used to prevent deliveries of food and weapons to the guerillas. These three hundred resettlement camps concern almost one inhabitant out of ten. “We are between fire and water, we the people. We are caught between two fears: the police and the jungle “. Translation is a crucial issue, everything happens via translators and all manipulations are possible. The number of translators is insufficient preventing the British to effectively use their information or question suspects directly. refraining from criticizing their culture and religion. The Briggs / Temple policy is successful: 40 000 military contain 8 000 insurgents. The battle is in the jungle and around New Villages; aerial bombings and defoliants were not very effective. Proposed amnesty terms by Tunku Abdul Rahman, the Chief Minister of the Federation of Malaya, in September 1955, were too restrictive but the Tunku was pushed by Britain and its political allies to negotiate with Chin Peng, the Secretary General of the MCP, in December 1955, without success. But he just had to wait: in fact after the independence of Malaysia (Malaya) on 08.31.1957, the guerrillas could no longer claim to lead a colonial liberation war. The guerrillas retreated to the Thai border. In 1960, the Insurgency is over (… it will resume in 1969). This war has made 7000 dead in the jungle and 3 000 civilians; 500 Commonwealth servicemen were killed and 1 300 police officers. In 1957, the essential point was that citizenship is granted to all, but the head of state is a Malay sultan and Malay is the official language. The Malays dominate the administration, the army and the police, but Chinese and Indians are represented in the government and parliament. Sensitive issues concerning education were not settled (and still are not!). Heated debates followed the release of the novel: Han Suyin resigned from the Johore hospital and Leon Comber from his duties in the Special Branch; they were placed under surveillance. 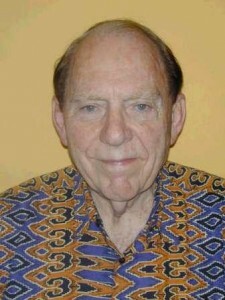 Leon Comber, after their divorce, lived in Singapore, Hong Kong and in 1991 in Australia. He is the author of many historical books on this period and concerning Chinese culture and was a Research Fellow at Monash University in Melbourne; he is also a Malaysian citizen. Han Suyin, “Et la pluie pour ma soif”, translated from the English by Daria Olivier. Stock 1990; 315 pages. 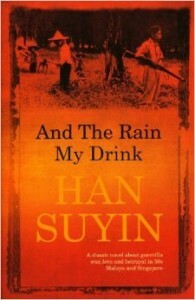 Han Suyin, “…And the rain my drink”, Jonathan Cape, 1956, 319 pages.